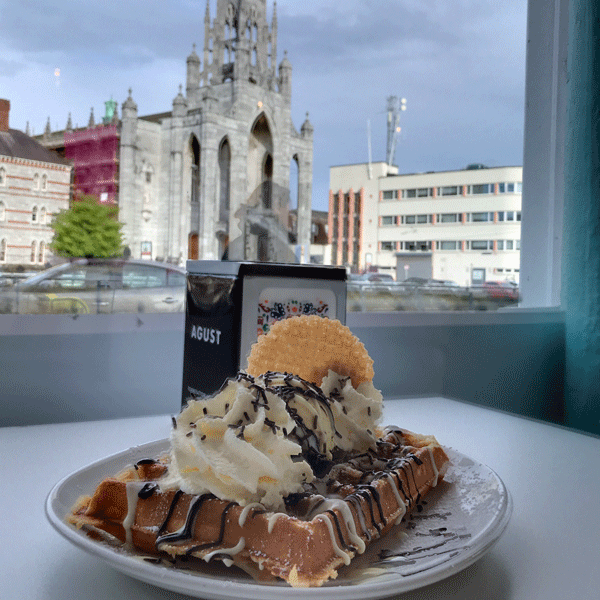 Cork city has always attracted culinary maestros. From great mavericks like Declan Ryan and Seamus O’Connell, through to contemporary masters such as Takashi Miyazaki and Gautham Iyer, cooks wash up on the shores of the River Lee and set to work doing creative things that succeed, even though they most likely wouldn’t spark a fire in any other Irish city. 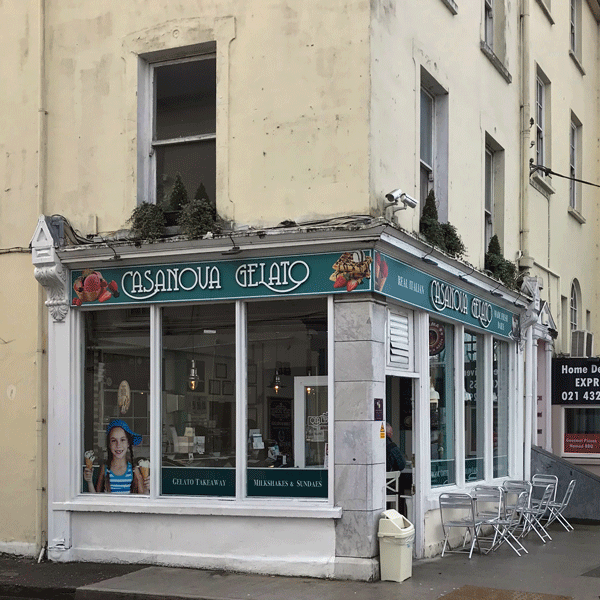 The latest addition to Cork’s culinary maestros are Barbara and Andrea, from Casanova Gelato, on George’s Quay, just across from the river. 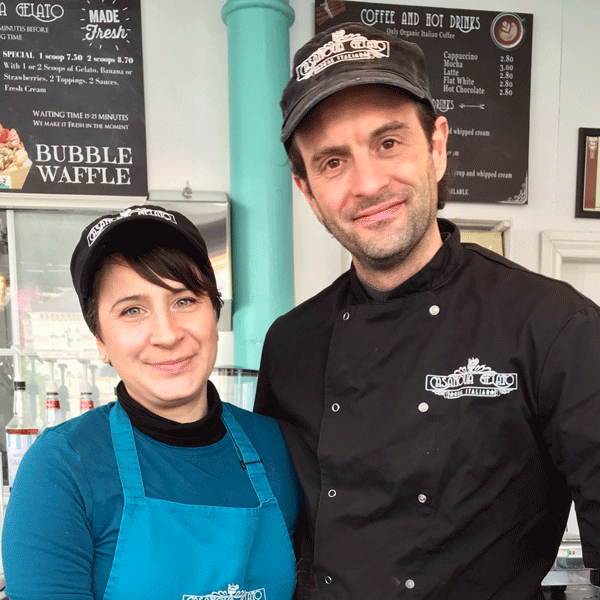 Barbara and Andrea bring a rigor and method to the production and perfection of gelato that is simply inspiring. 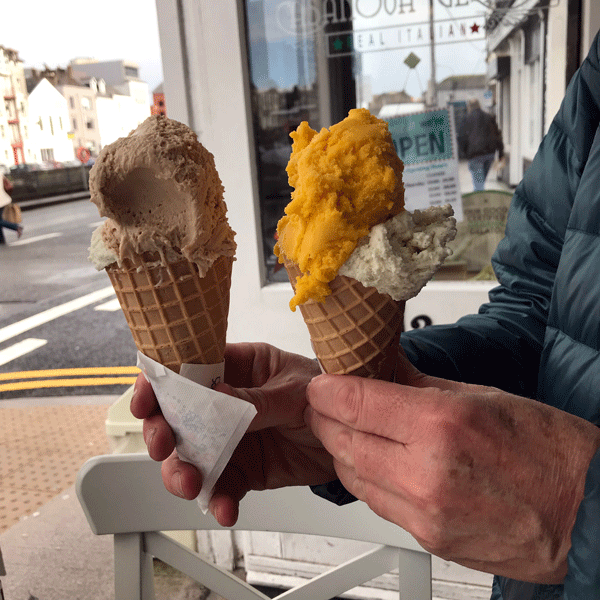 A single scoop of hazelnut gelato, or maybe mango, has the power to transform your mood, and your day, from quotidian to special. The smooth expression of organic milk and top class fruit achieves one of its finest transformations in gelato: how can such simple ingredients yield such technicolour taste brilliance? In truth, however, the sheer brilliance of this duo is probably best revealed in their small range of vegan gelati. 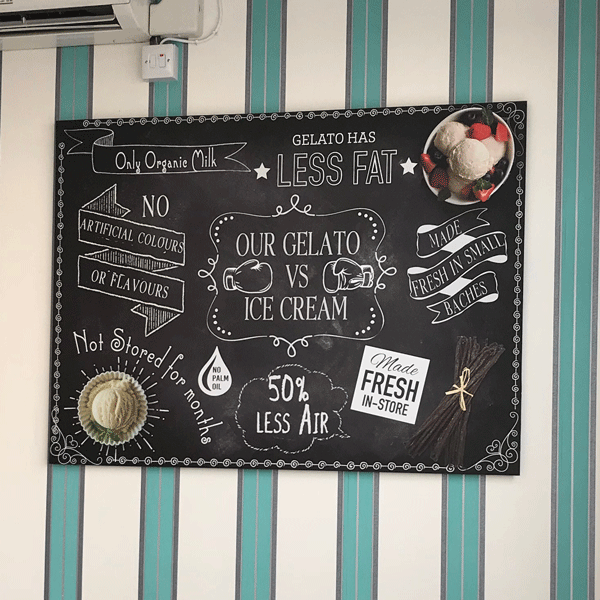 Just consider the challenge: making fresh, fruity gelato, but without dairy products to provide the bass note. The challenge doesn’t faze Barbara and Andrea one bit: these vegan gelatos are special, and want for nothing. Like the standard range they offer, the gelati are nuanced, rich, harmonious, and thrillingly satisfying. But Casanova isn't just about the sweet kiss of gelati. 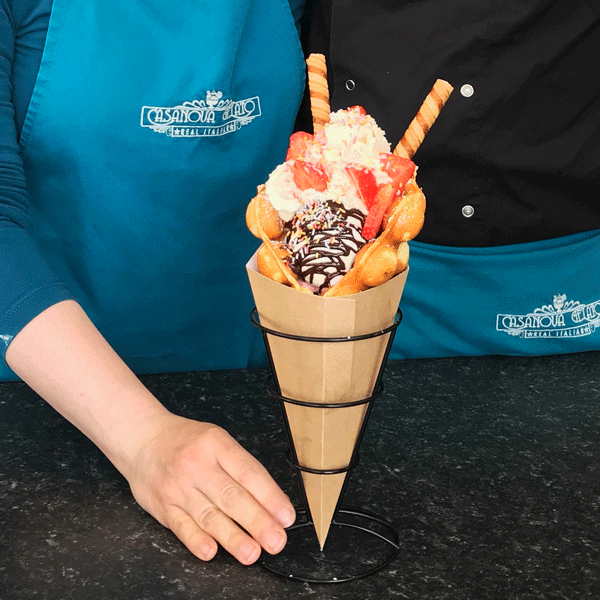 There are excellent coffees and teas, and superb bubble waffles, crepes and sundaes which Barbara confects into the most awesome delights for kids (we are all kids, remember). Bring the youngsters to Casanova, introduce them to these true tasting treats, and you will wean them off cheap, synthetic ices forever. Barbara and Andrea have created a jewel here, an outpost of maverick creativity from two smiling maestros.